This Cheeko Easy Up Fabric Kennel is an ideal solution for dog owners that need a kennel that is portable, whether it is for summer trips in the caravan, or you want to be able to close your dog up without using a more traditional wire cage. 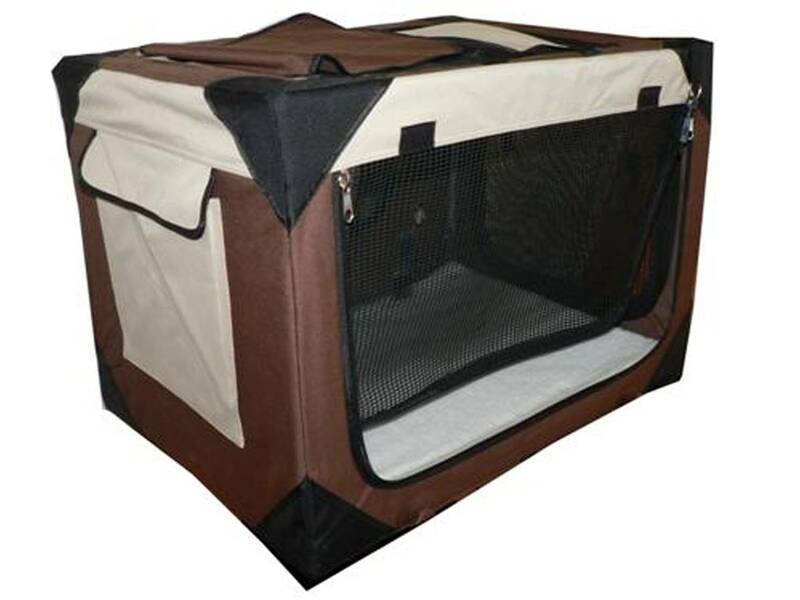 The Easy Up fabric kennels have a lightweight flexible and durable frame. The anti-slip rubber feet, and anchor straps help secure the kennel to the ground. These fabric dog kennels are made from tough weather resistant materials and can be used both indoor and outdoor. It also has a removable, washable cover. 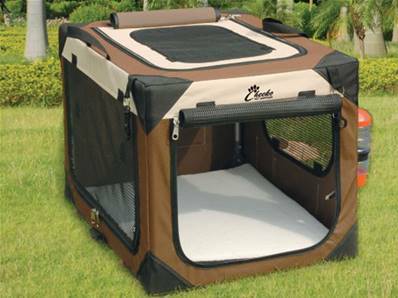 You can access your dog using the kennel's top, front or side entry doors, and it even has handy pockets for storage. It is easy to assemble and can be set up and taken down in minutes. It also comes with a storage and travel bag. Ideal for taking your dog anywhere. 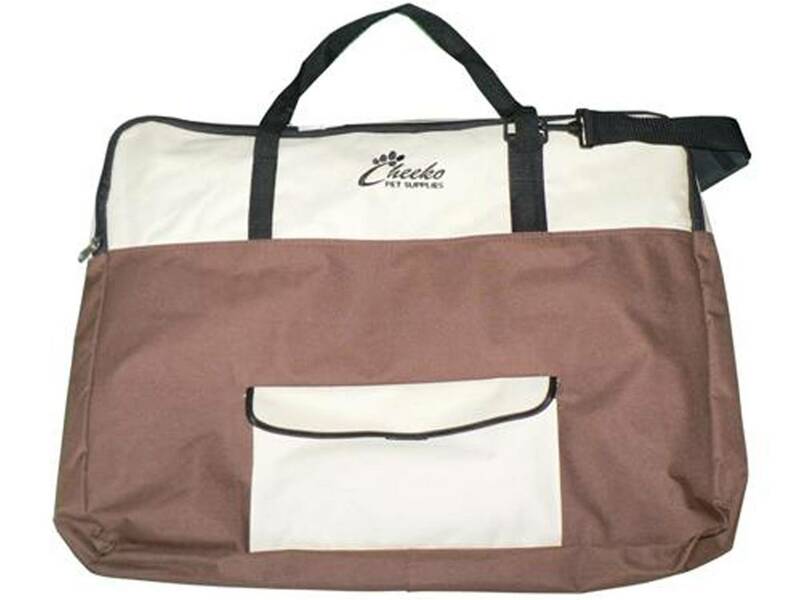 Small - 24 x 18 x 17"
Medium - 30 x 20 x 19"
Large - 36 x 24 x 23"
Extra Large - 42 x 28 x 27"